When I first got on Instagram earlier this week, I noticed some people had cool collage and other effects on their photos that the Instagram app did not offer. This made me quite jelly. 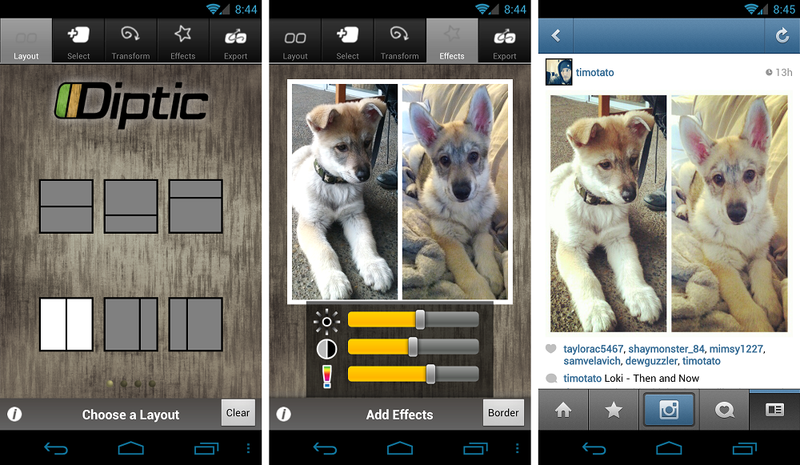 After receiving a tip from a reader, I discovered Diptic. The process of creating some cool photos is as easy as one, two, three. You choose the layout you want, edit your colors and all that stuff, then just share it to Instagram. I will say, it definitely doesn’t feature all of the same customization ability that the iOS version offers, but I can hope that will change in a future update. For only 99 cents, it’s not bad at all.